Henry was employeed by the C&O Railroad on October 7, 1902. He worked as a telegraph operator at Stonewall on Piney Creek subdivision. He would travel from his home at Meadow Creek to Stonewall on a track bicycle and stay for several days before returning back home. Pictured below is the track bicycle that Henry rode to work. Daughters Nettie and Beatrice are setting on it. Henry's first wife was Nettie Vass and they had one child named James Earl Hoke. 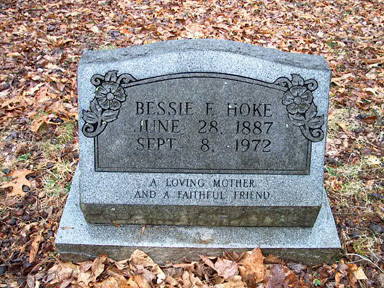 After the death of his first wife, Henry married Bessie F. Redden. 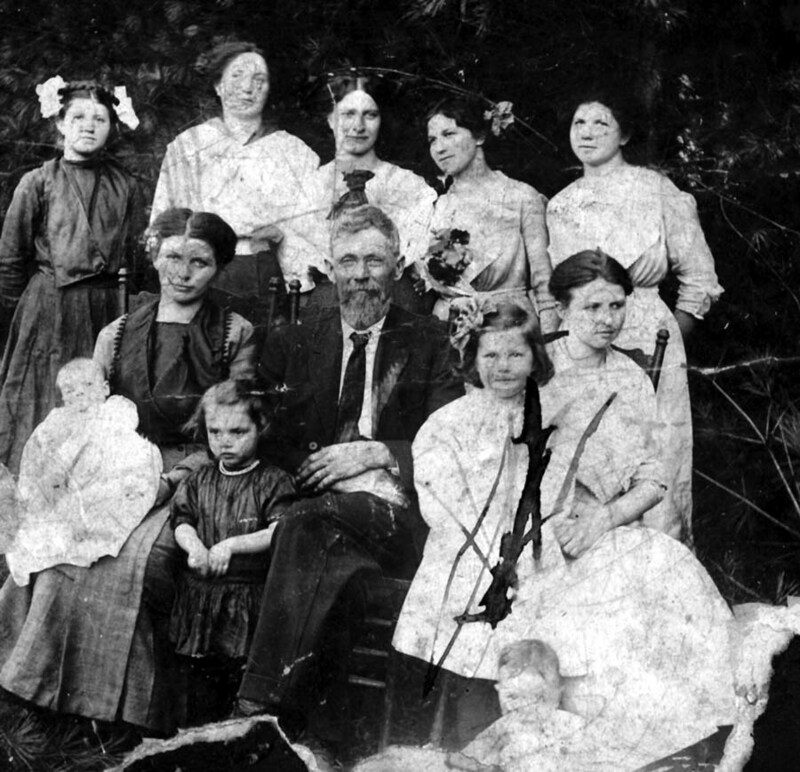 Bessie was the Daughter of John Redden (See John Redden family photo below). Henry and Bessie had the following children. 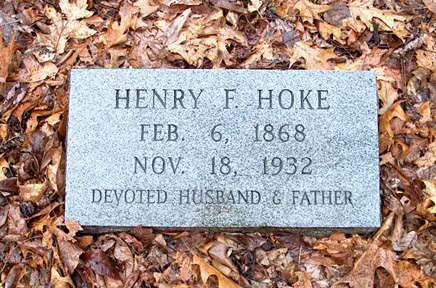 Gilbert Hoke - Died July 28, 1907 of meningitis. Was 6 mths & 4 days old. Buried in cemetery at Grandview. Josephine Ann Hoke - Born May 3, 1925. 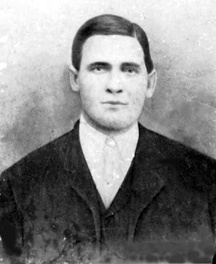 Married Charles Richmond. She was Postmaster at Meadow Creek for years. The following obituary was taken from the Beckley Post Hearald dated September 9, 1972. Mrs. Bessie Hoke, 82, of Meadow Creek died at 2:30 P.M. Friday in a Hinton hospital after a long illness. Born in Raleigh County, June 28, 1890, she was a daughter of the late John and Ruth Meadow Redden. She had lived in Meadow Creek for the past 50 years. She was a member of the Meadow Creek Baptist Church. Survivors include three daughters, Mrs. Elmer Richmond, Mrs. William Bleau, and Mrs Charles Richmond, all of Meadow Creek; one stepson, Earl Hoke of Montcoal; four sisters, Mrs. Pearl Johnson of Beckley, Mrs. Hazel Tomblin of Chicago, Ill., Mrs. Eva Harrah of Quinnimont and Mrs. Undine Hancock of Charlotte, N.C.; 10 grandchildren and 15 great-grandchildren. A daughter, Mrs. Beatrice Jones, preceded her in death. The body is at the Ronald Meadows Funeral Parlor in Hinton. This picture was taken at a birthday get together for John Redden. Children left to right: Seated on Bessie's lap is her daughter Beatrice and girl standing beside Bessie and John is Bessie's daughter Nettie.